Nobody does candles like we do. 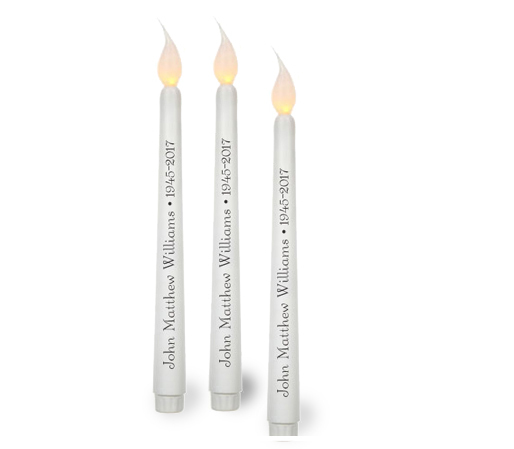 Our special technique for printing directly onto our candles is a guarded secret because of the amazing results it produces. 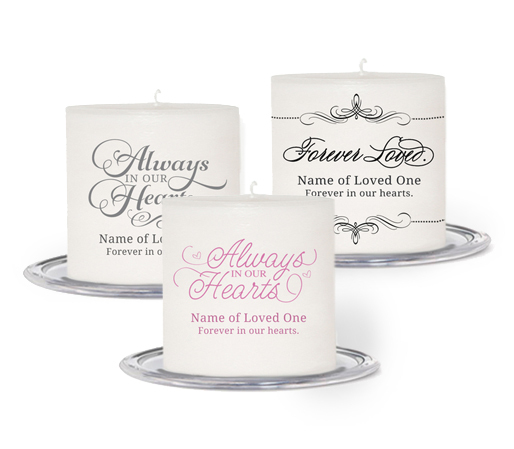 You will never find a label on our wax or glass candles, your special text and photo is imprinted right onto the surface! 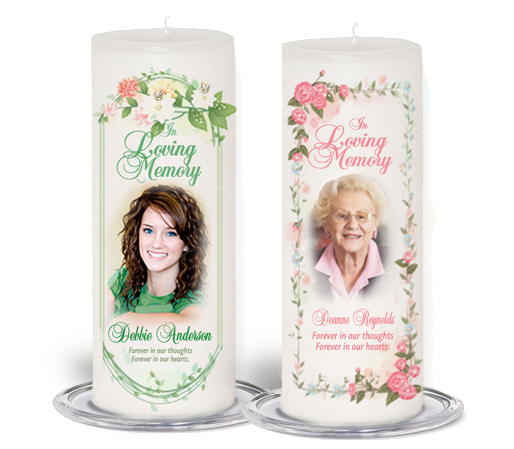 A truly beautiful selection of memorial and in loving memory candles with a personalized photo perfect for display at the memorial service or as a post service keepsake. 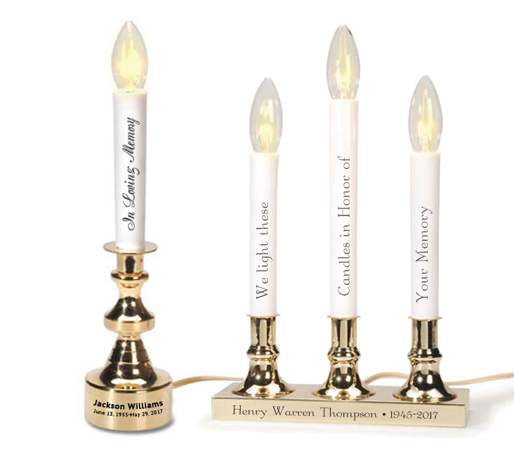 Available in a variety of styles and designs exclusively created by The Funeral Program Site for a long lasting keepsake that can be passed through generations.